As personally eventful of a year as 2018 was for me, I found it surprisingly slow for the medium of film. Sure, by having MoviePass at the dawn of the year, and AMC Stubs A-List at its close, I was seeing movies more prolifically than ever before. However, films that truly stood out were few and far between. I started this post off as a top ten list but found myself pulling straws as I etched closer to the #10 spot. In turn, I decided to make the jump down to five, giving the time of day only to truly remarkable releases. Hopefully 2019 will be gracious enough to get us back to ten entries. Ready Player One managed to do the impossible by starkly deviating from its novel source material, but still maintaining exceptional quality. To thank we have the perfect blend of Spielberg’s directing magic and original author Ernest Cline’s screenplay credit. After rewatching the film and rereading the book in the latter half of the year, however, I found myself leaving 2018 with slightly less admiration and slightly more cynicism toward the story than when I entered it. In turn, though narrowly, Ready Player One missed the top-five cut. First Man led me to make the bold statement that Damien Chazelle understands the medium of film better than any other director working today. This was the third installment in Chazelle’s “dreamers trilogy” (self-titled), proceeded by Whiplash and La La Land. The first to not be primarily music focused (where I believe Chazelle’s subject-material comfort truly lies), it just feels a bit less personal than its predecessors. Don’t get me wrong, I gave this a must-see in my review, but I simply enjoyed five 2018 releases more. An amazing Transformers movie, who would have thought?!? I do admit some inherent bias, since somehow Hailee Steinfeld and Jorge Lendeborg Jr. managed to flawlessly portray the two lead characters of the book series I’m currently writing (down to their mannerisms and personalities). 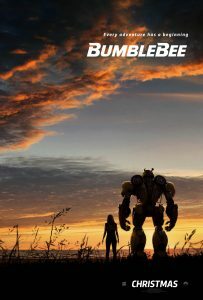 However, the sheer impact of the powerful emotional core that is the friendship between Steinfeld’s Charlie and the Bumblebee Transformer is undeniable to anyone who gave this film a shot. The potent pathos at the center of Steinfeld’s performance and character writing managed to move me to tears (though the bias discussed earlier may be partly to blame). Regardless, a Transformers movie managed to make me cry, that’s insane! The icing on the cake is the film’s incredible ‘80s theming, fueled by a decade-specific pop-rock soundtrack that I would definitely buy on vinyl if released. Although I found the more “Transformery” U.S. military/Decepticon b-plot to be incredibly tedious, the core narrative more than made up for it. Avengers: Infinity War was the climactic payoff to ten years of cinematic buildup. For those not familiar with the central conceit of the Marvel Cinematic Universe, I’ll give a quick rundown, as it is partially necessary to understand why this movie is on this list. 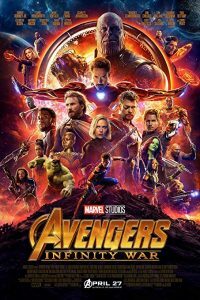 In an incredibly risky move, Marvel Studios spent ten years crafting an intricate, interconnected background narrative spanning over 20 films. A climax to this narrative could have either been a complete mess or a triumphant masterpiece; mediocrity simply wasn’t an option. Thank god it was the latter. Thanks to Josh Brolin’s Thanos (one of the best villains in superhero-movie history) and heart-wrenching emotional vignettes scattered throughout the film, Infinity War manages to sit comfortably just behind Guardians of the Galaxy Vol. 2 as my second favorite entry in the MCU. I genuinely don’t get the negative reception Solo: A Star Wars Story got. How one of my favorite entries in the Star Wars universe led to the cancelation of the entire “A Star Wars Story” spinoff project is beyond me. Did we need a Han Solo origin story? Of course not. A lack of necessity, however, is by no means indicative of a lack of quality. This movie serves as one of the most gripping and morally complex entries in a series that includes the likes of Return of the Jedi and Revenge of the Sith; that’s saying something. 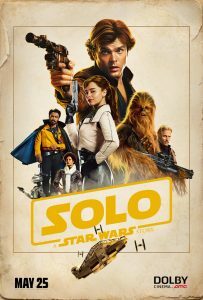 Despite a supposed rocky start during production, Alden Ehrenreich manages to pull off the perfect young Han Solo, nailing the mannerisms and vocal quirks Ford brought to the character down to a tee. He finds himself complimented by Emilia Clarke’s Qi’ra, one of the best realized tragic characters not only in cinema this year, but in the entire Star Wars franchise. Donald Glover’s Lando Calrissian and the plot’s major implications on the Star Wars universe round out this tragically-underrated gem. 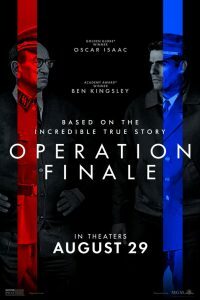 As a practicing Jew with numerous relatives that either survived or perished in the Holocaust, Operation Finale is a film with immense personal meaning to me. The core narrative of top operatives of the realized Jewish state bringing to justice one of the primary perpetrators of the Holocaust perfectly appeals to my taste in media. 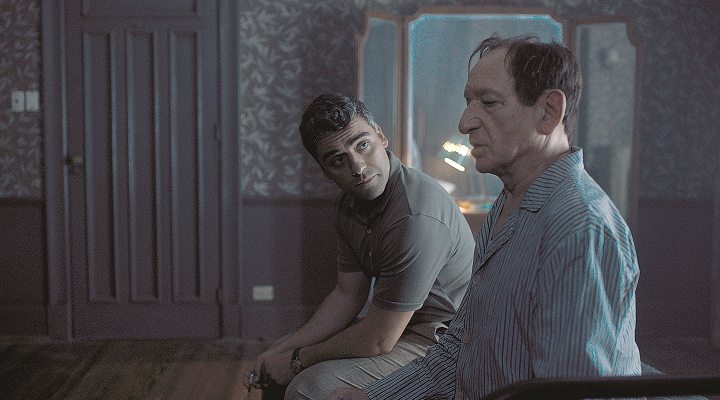 This personal attachment, however, is backed up by a career-best performance from Oscar Isaac (one of my favorite young actors working today) and an unforgettable return-to-genre from the legendary Ben Kingsley. This time on the opposite end of the Holocaust spectrum, Kingsley manages to bring unsettling humanity to Adolf Eichmann, one of the evilest individuals in human history. Isaac and Kingsley’s Oscar-worthy performances are only complemented by a tightly-paced, tense narrative that has you on the edge of your seat for the entire two-hour runtime. Of course, however, with a pronounced Zionist undercurrent flowing through the screenplay, I can’t see a reality in which the Academy doesn’t snub it. Searching was the only 2018 release that managed to transcend the “one of the best of the year” status to become one of my all-time favorite films. It takes the cinematic technique of a narrative told through the capturing of a computer screen (established by the trashy Unfriended) and soars with it. The computer usage patterns, behaviors, and movements all felt eerily natural, giving the already-gripping narrative a thrilling realism. This genius cinematography is only complimented by an Oscar-worthy, career-best performance from John Cho. Despite being in nowhere near a similar life position to Cho’s David Kim, the tragic realism of his performance broke any barriers of unrelatability that may have stood in my way. All of this is neglecting to mention the geniusly-woven mystery plot at the core of the script. It’s a perfect mystery in the sense that it’s unpredictable in the first viewing, yet, during round two, it’s clear that all of the puzzle pieces were cleverly laid out for us. All of these stray elements blend together in the melting pot of a masterpiece of modern cinema that should take home every Oscar possible.